Welcome to the Northstar Canoe West Coast Distribution Home Page. We bring several loads of Northstars to the dealer network out West and support through demoes and events. We love these canoes and love to share the Northstar Experience. I’ve been paddling Ted Bell/Yost designed canoes since 1996. Just give an email or a call and let’s talk canoes! It ain’t just about specs and weights. There is a feel to every canoe in the line and I can help shed light on what might meet your needs. Here’s just a bit of recent fun in my Northwind Solo. Just one of the many ways a canoe can bring such bliss! Northwind 16 WhiteGold Alum Trim Color Spuce Green kneeling thwart (on sale for $1600) *see “what’s new” under menu for pics. Requested by several aspiring owners, we’ve created the most catered experience for trying a Northstar Canoe. Give us a list of models you are interested in and we’ll make our fleet available in our hometown of Bend OR. Make a weekend of it and come visit Central Oregon! (travel available upon request and additional cost). We’ll work with you out on the water to show you some hints and skills that will improve your analysis and take advantage of these great designs. Think of it as a big yummy burrito of Demo/Class/Outing with the finest canoes available. No crowds. Just Ethan and you (and paddling partner) in one of the most beautiful paddling towns in the West. Use and demo of Bending Branches line-up of paddles. You’ll try paddles that are hard to find in western retailers and even some of our personal favorites from Bending Branches and others. Learn the best size and blade for your personal style. PFDs by Stohlquist WaterWear– paddle wear also available for your comfort. Assistance and consultation to help in the purchase of your new Northstar should you fall in love! Call 503.572.3848 or email Ethan at ejebersold@gmail.com to find a time that works best. 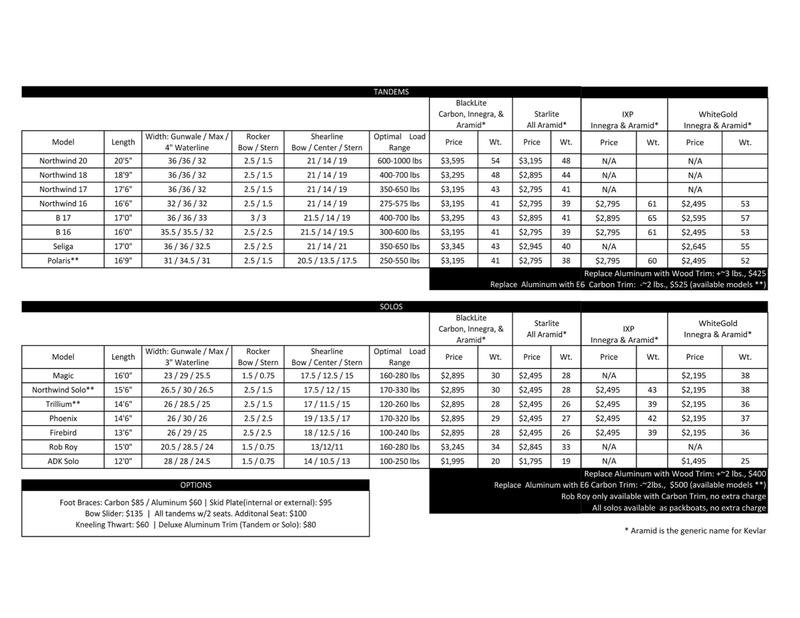 Learn more about the new IXP Lamination HERE. 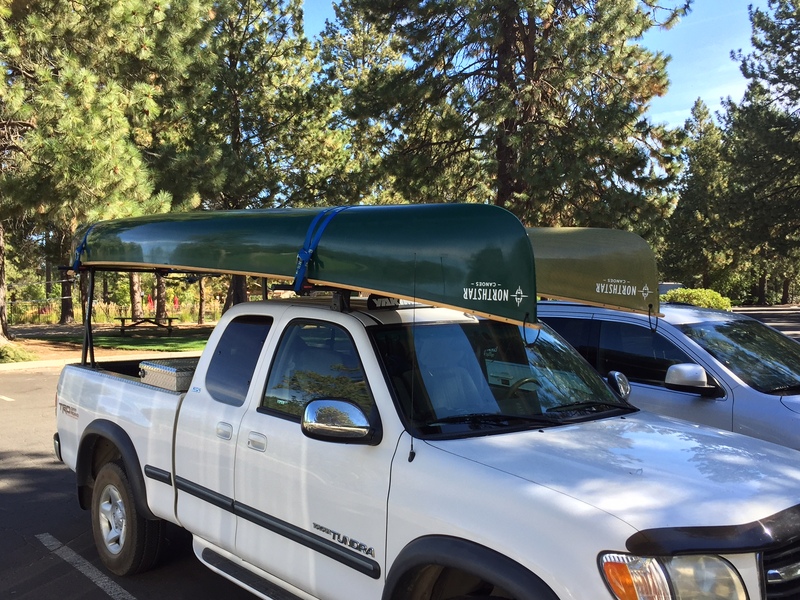 What is the deal with Northstar Canoes? 2. It does not leak. 3. The wood trim is comfortable when a leg leans against it or a hand touches it while paddling. 4. It is fast and very responsive. 5. The sense of secondary stability in a Northwind 16 is incredible — like the difference between a ski that knows how to arc a fast turn and one that doesn’t have a clue. 6. The lower weight isn’t just easier to carry — I believe we also feel it on the water in responsiveness. 7. Very subjective, but it seems like the wood trim gives the boat a more natural feel for the water. I don’t know what that means, but I am pretty sure it is true. 8. The bow and stern decks are stunning. For example, for the bow paddler, it’s hard to see the point of taking a picture of the river without having the bow deck included. “Photobomb” design, I would say. 9. While we will be storing this (with care) outside, I am half tempted to hang it from the ceiling in our living room as art. Your Northstar canoe is not made in two pieces. The seam line is simply showing the process of how they build this canoe. Essentially the seam line is the bellybutton of a Northstar canoe that has high shoulder tumblehome. All canoes with aggressive high shoulder tumblehome have to be built in a two-piece mold. 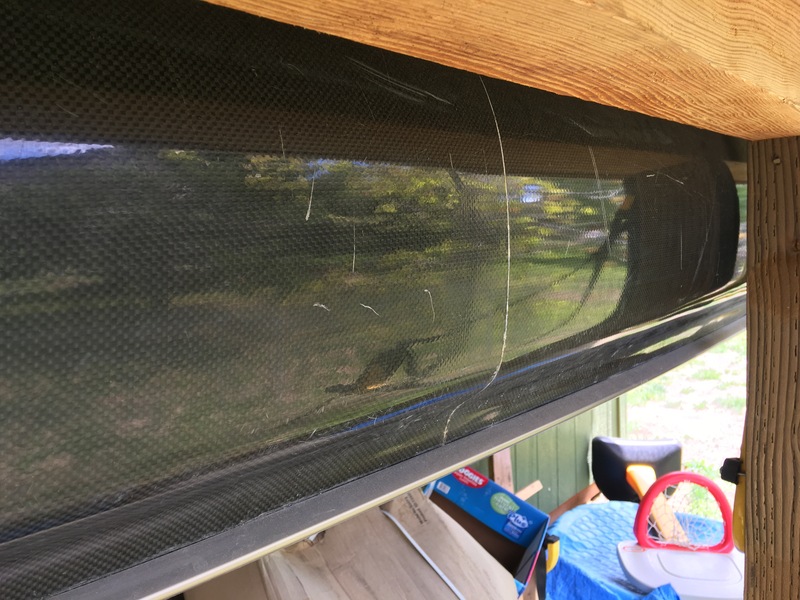 This means that they laminate the kevlar/carbon/glass/resin materials into the mold (all one piece) and after the boat has cured, the mold has to open up to remove the canoe. Northstar uses a thin seam tape to cover the seam in the mold so that resin doesn’t leak through this crack. A finished Northstar canoe tells the story line similar to how a fossil tells the reflection of an animal that rested against the now fossilized material. There is no structural downfall to this feature. It is essentially just a different texture because the seam line tape texture is different than the rest of the fiberglass mold’s texture. Northstar Canoe’s are hand built and reflect the process of how these craftsman have developed the process. Hopefully you’ll come to appreciate this little feature that tells a wonderful story and offers unmatched performance. I find it kinda unique and cute like a belly button. “Let me explain why our boats have a seam line. There are a couple ways to build the seating area of a solo canoe. Historically solo canoes were built with tumblehome in the center. The original Bell Canoes, built 25 years ago were built with tumblehome – these boats – the original Merlin, Traveller, etc, have been long since retired. Tumblehome means that the widest part of the canoe is only a couple inches above the waterline. From that point the canoe gets narrower up to the gunwales – it tumbles home. 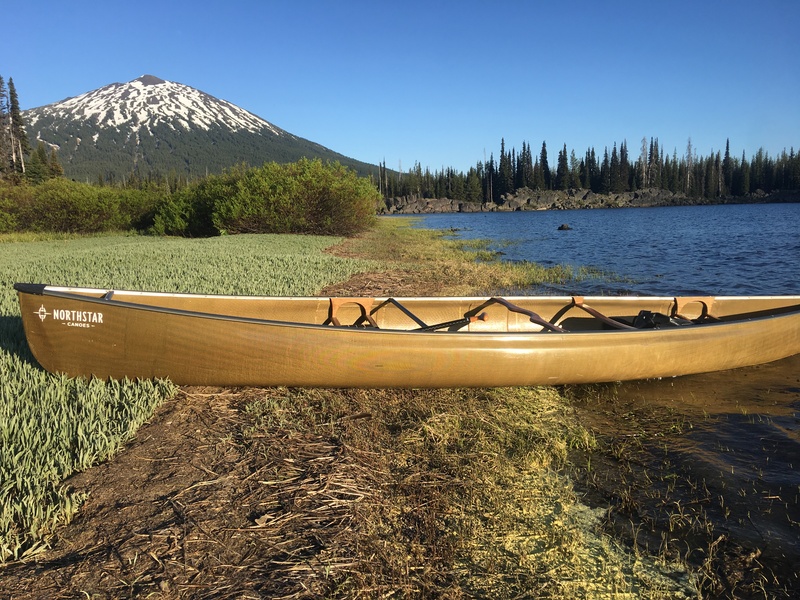 Tumblehome allows a canoe to be made wide enough at the waterline to have good initial stability and carrying capacity, while also being narrow enough at the gunwales so that the paddler doesn’t have to reach over a wide canoe or bang their hands on the gunwales. Sounds great, right? The problem with it is two-fold. First, when a wave hits the side of a canoe with tumblehome, the water tumbles home – it follows the tumblehome right into your lap – it makes for a wet canoe. Second, having the canoe begin narrowing just above the waterline creates a canoe with poor secondary stability. The best way to create secondary stability is by flaring the canoe all the way to the gunwales. 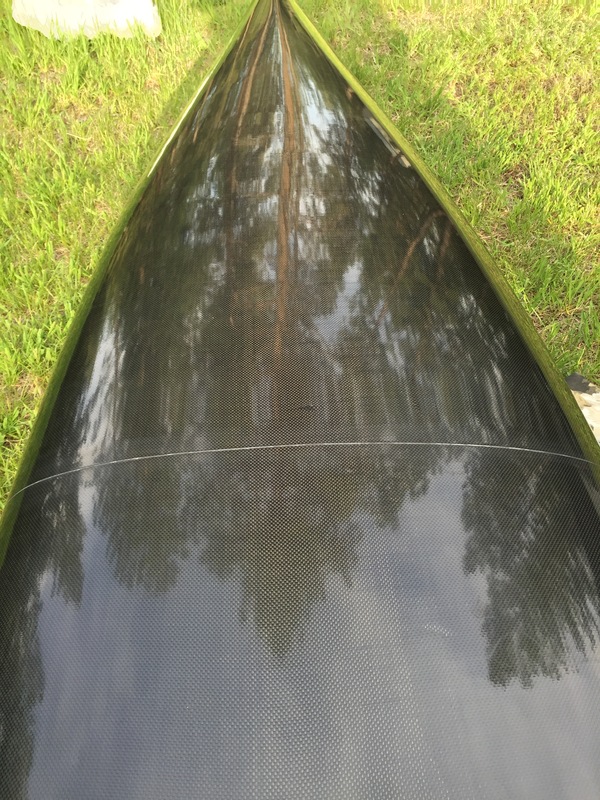 The most stable canoes are those that constantly flare – they keep getting wider. 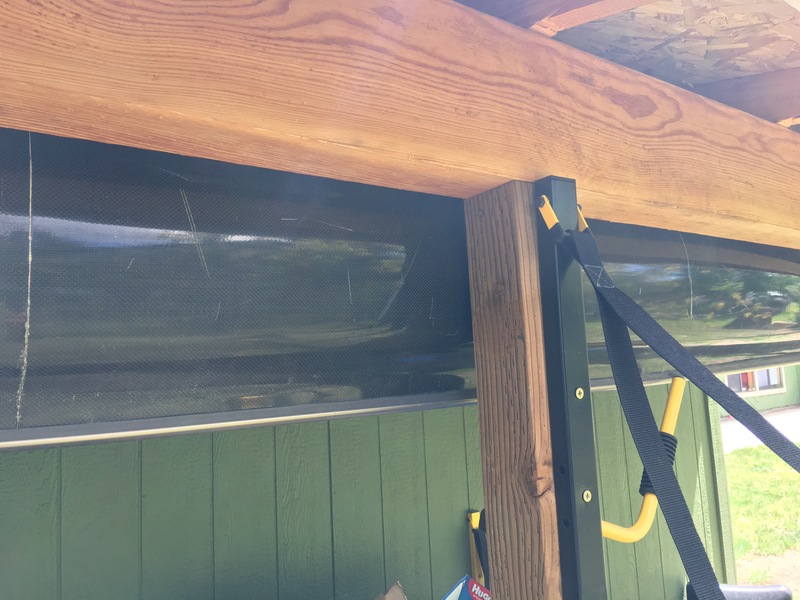 This is because when leaned over due to rough conditions a canoe with flare keeps getting wider, more stable and therefore more resistant to capsize. The rougher the conditions the more stable a flared canoe becomes. For years designers knew tumblehome wasn’t the perfect solution for solo canoes, but they couldn’t come up with anything better. Then David Yost and Bell Canoe created shouldered flare. Every Bell built since ~1995 and every Northstar that can be paddled solo is built with shouldered flare. Shouldered flare creates the driest solo canoes available. This is because the flare is carried almost to the gunwales. The widest part of one of our canoes with shouldered flare is right where the shoulder begins. If you look at one of our shouldered canoes from the bow or stern, the last few inches below the gunwale look like the profile of a human shoulder (very from front or back, the gunwale being a couple inches up your neck). Effectively what we managed to do is create a canoe with the benefits of both flare (dry, great secondary stability) and tumblehome (comfortable to paddle). Now, on to your specific question. Canoes with shouldered flare require a complicated and expensive two piece mold. We build canoes in female molds. Prior to building the canoe we put clay in the seam between the two halves of the mold. When it’s time to remove the canoe from the mold, a canoe with shouldered flare requires the mold to be separated to get the canoe out. We build the canoe in one piece and then separate the mold to remove it, because it’s such a complex shape. The seam line that you see and Ethan referred to is the result of the clay and the two piece mold. Think of the seam line as a mark of the most advanced canoe design available. Lastly, for many years at Bell we built molds with longitudinal seams – running the length of the keel line. Then we came up with transverse seams – splitting the mold across the width of the canoe. The two advantages to transverse seams became readily apparent. First, the seam line on a solo canoe is about 5 ft long, instead of 17 ft. Second, as we built new molds in the last few years of Bell in Minnesota, we noticed that our oldest molds with longitudinal seams had sagged very slightly. In essence the canoes were getting less arched, flatter, as the molds sagged. Molds with 17 ft seams created weakness that allowed the mold to slightly sag. Going to a transverse seam made for molds with much greater structure, no chance of sagging. That allows us to produce consistent canoe throughout the life of a mold.